King Philippe V of Spain, plagued by insomnia, lies awake in his chamber. The Queen, desperate for a cure, hears of Farinelli—a castrato with a voice so divine it has the power to captivate all who hear it. Philippe is astonished when Farinelli sings, and begs him to stay. 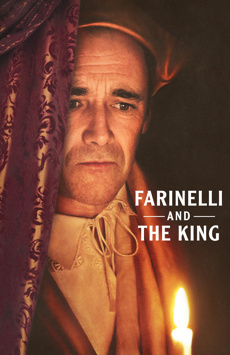 But will Farinelli, one of the greatest celebrities of his time, choose a life of solitude over fame and fortune in the opera houses of Europe?